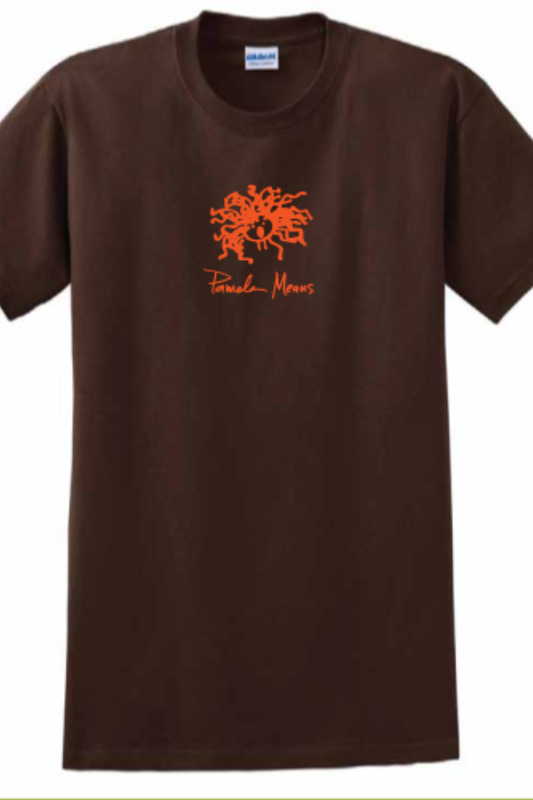 Pamela's hand drawn self-portrait and name, front and center, on a 100% cotton, dark chocolate brown t-shirt with orange ink. One-sided printing. 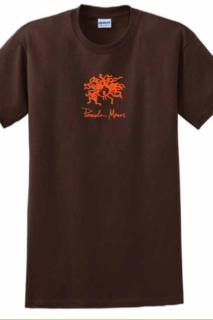 Back of t-shirt is blank.